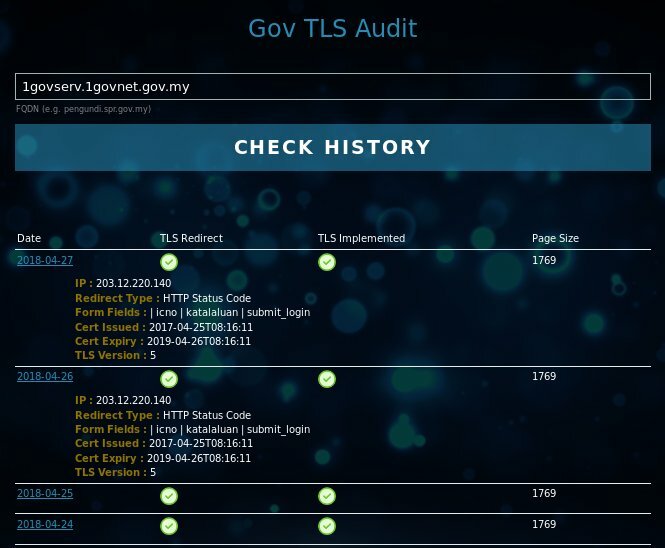 Gov TLS Audit has a website! Gov TLS Audit finally has a website to complement the API. I used the services of a guy from fiverr to code the site, it isn’t the best design in the world, but it’s good enough for now. The site allows you to query a site and view the historical details of a particular .gov.my website. The full list of .gov hostnames can be found here. It also links to the full daily scan outputs (in csv, json and jsonl formats) if you wish to download and do more analysis. Please note, the csv output has some errors that I’ve not had time to fix, best you use the jsonl or json file, which don’t have errors, but also have much more details. It’s hosted on https://gov-tls-audit.sayakenahack.com/, because I’m not made out of money and can’t afford another domain just for this side-project. 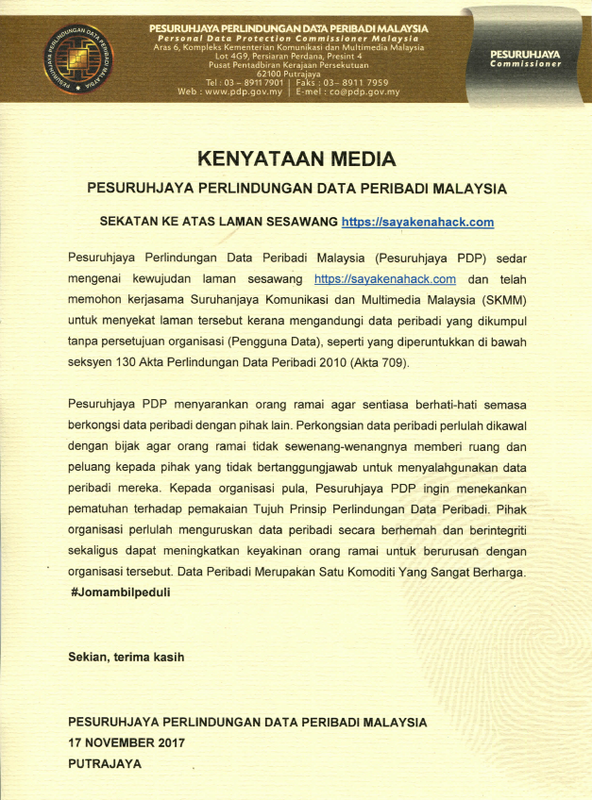 Strangely this is blocked by most locals ISPs, which is bad, I’m going to write a letter to ISPs, since the block request from PDP was very specific and didn’t include subdomains of sayakenahack.